Skimz EL-Extended Life filter sock is designed to provide long service life, capturing a large amount of particles thus giving the water a clean, almost sparkling look. 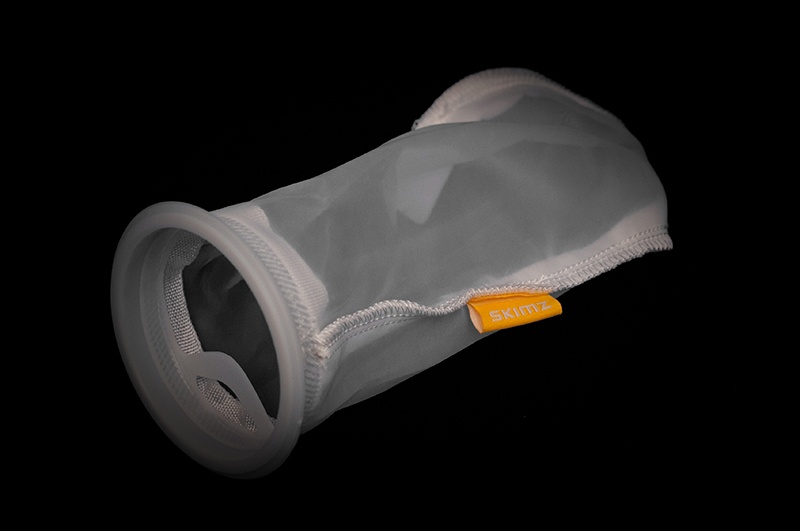 Skimz EL filter sock can hold up to twice the amount of dirt as a traditional felt bag to reducing waste and bag changes. The porous material allows water to pass through freely, but traps particles and blocks large objects from entering the sump tank. Skimz EL filter sock is made of washable nylon which is easy to clean and reusable. Use of the Skimz EL filter sock will prolong the life of pump and reduce its cleaning and maintenance requirements.